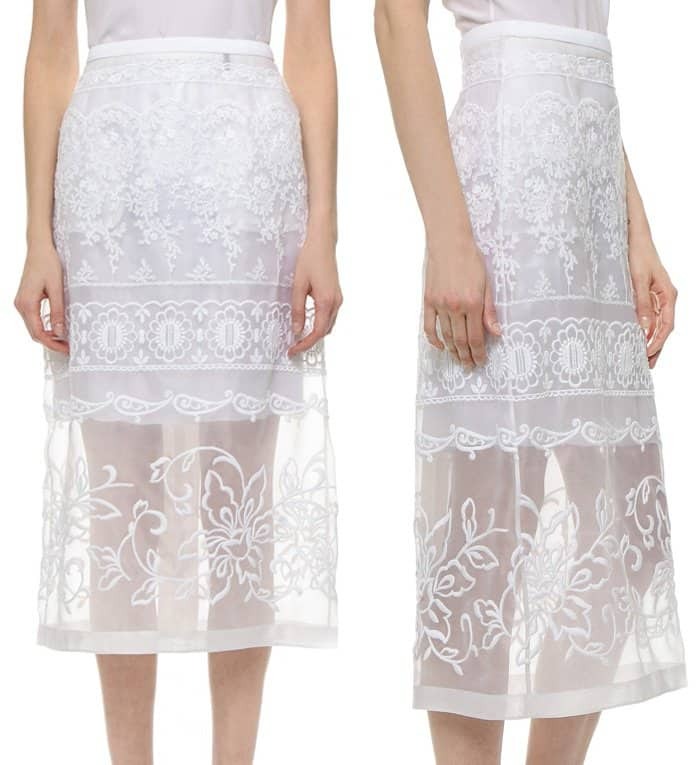 It’s time to break out your white midi skirt! 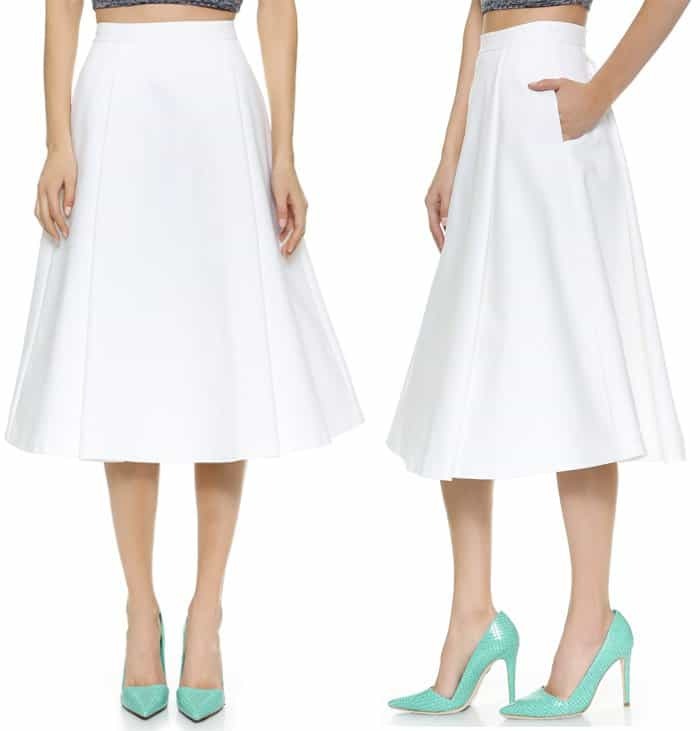 The clothing trend isn’t going away any time soon and if you have invested in a white skirt before, you can still get a lot of wear from it this season and the next. Just this month alone, several celebrities have been spotted sporting the trend. The way they styled their skirts was so easy and wearable that even a non-fashion pro can whip up something just as fetching in minutes! You can’t go wrong with blue and white, especially blue stripes with white accents. 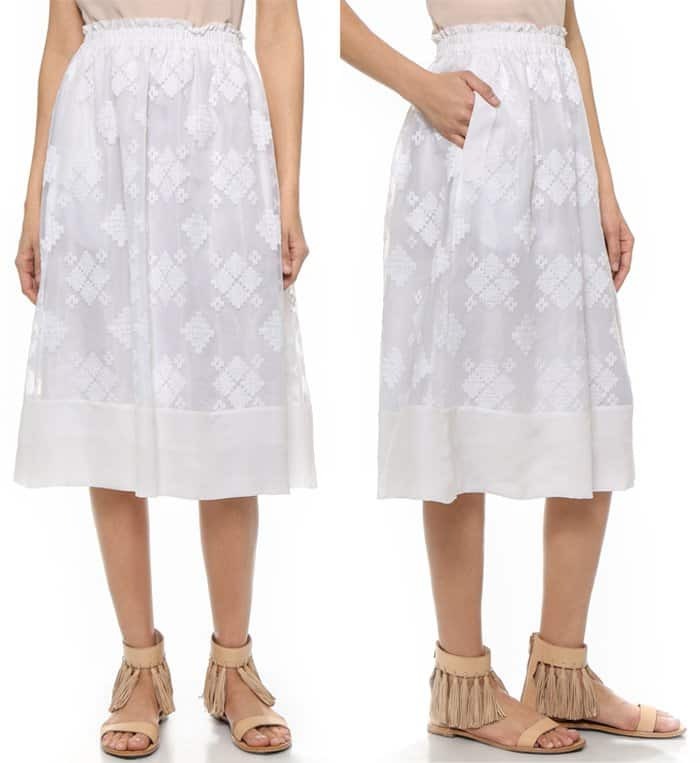 It just screams Spring/Summer and easily gives off fresh and uncomplicated vibes without compromising on style. The actress exuded class in her spring-y gingham top that she partnered with a white pencil skirt. This ensemble is ideal for both work and play. Take a cue from the actress and pair your dressy skirt with a t-shirt logo for that extra “cool girl” effect. 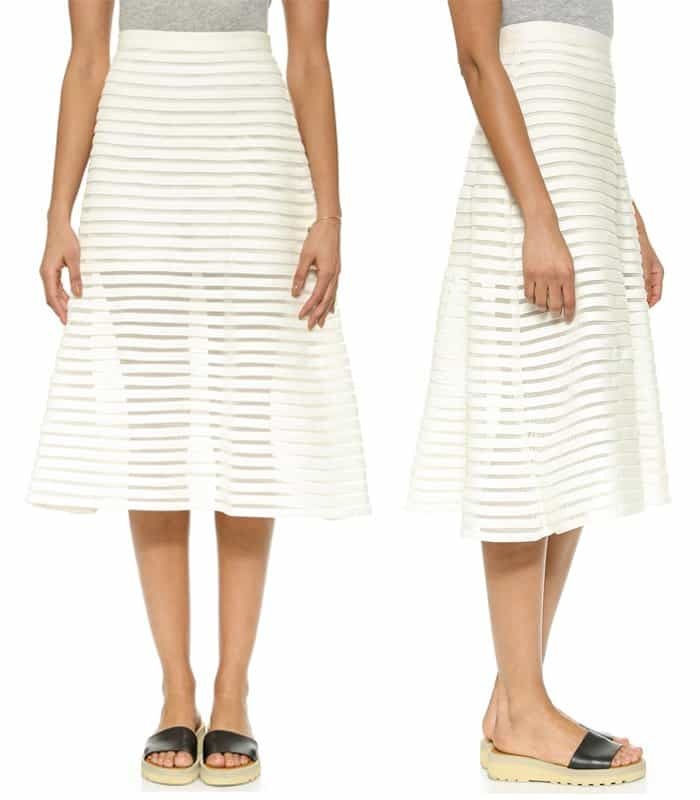 The combination of the tee and the skirt creates a world in between chic and casual. 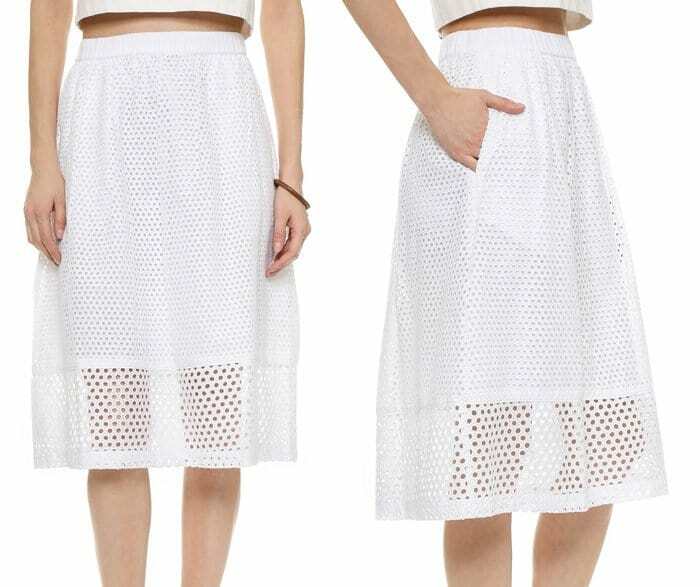 No, the cropped top trend isn’t going away any time soon either. 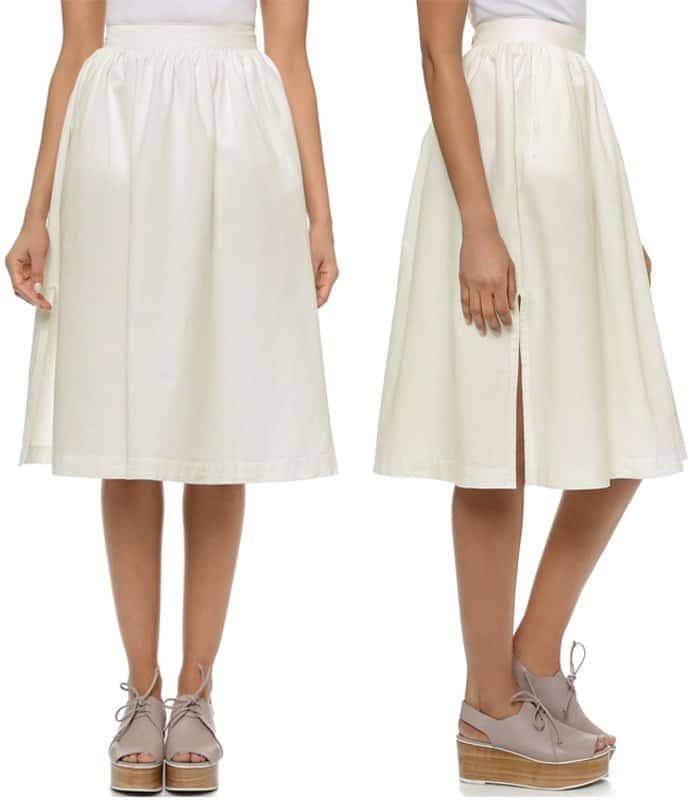 Revive the look by wearing the top with a polished A-line white skirt to create a classy silhouette. Finish it off with a pair of pumps. There’s something about knits that make a person look easy to approach. So if you are looking for a way to tone down the dressy meter of your full midi skirt, try Emmy Rossum’s way and wear a knitted top. Hers has just the right length to accompany the high-waisted bottom.